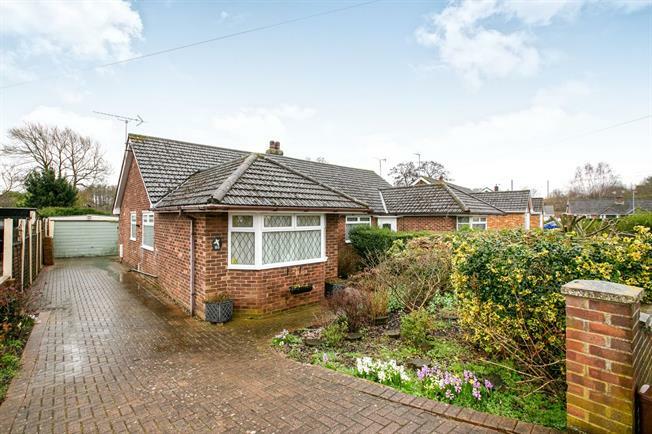 3 Bedroom Semi Detached Bungalow For Sale in Bedford for Asking Price £350,000. A well presented three bedroom semi detached chalet style bungalow located in a sought after location backing onto a tributary part of the "River Flit". Accommodation briefly comprises of entrance hall, generous size lounge/diner, kitchen, utility room, conservatory, shower room and the master bedroom. First floor comprises two further bedrooms. Further benefits include lots of potential for extensions and alterations (STPP), garage and off road parking. Fitted to comprise of wall and base units with work surfaces over, space for oven, window to rear aspect and door to conservatory. Window to front aspect, feature fireplace, door to conservatory. Windows overlooking the garden and double doors leading onto the garden. Window to rear aspect overlooking the garden, storage in the eaves. Window to rear aspect and storage in the eaves. Mainly laid to lawn with mature flower borders, enclosed by wood fencing and backing onto the tributary part of the "River Flit". Off road parking leading the garage.